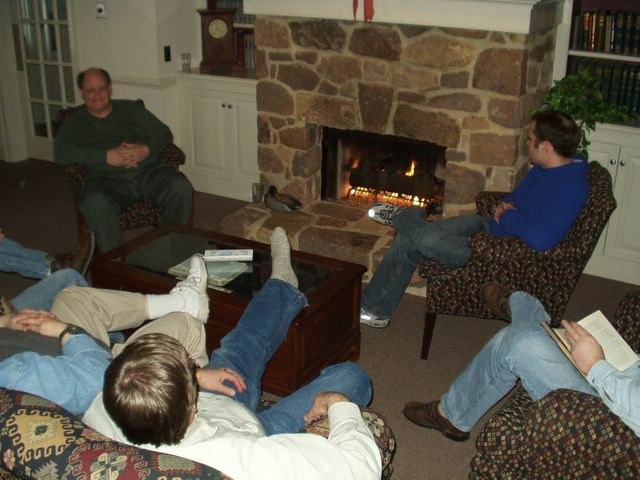 Pastors from the Northern Atlantic Fellowship are gathering today, tomorrow and Wednesday at the Traber Center near Pottstown, PA, for a retreat. Relaxing here by the fire are Al Kidder (left), Jason Holt (right) and others, during an afternoon break. Pastor Keith Shearer of the Myerstown church is one of the key speakers for the retreat.